A New Jersey Transit train waits at the Atlantic City Rail Terminal before heading off to 30th Street Station in Philadelphia. Like many Philadelphia-area residents, Steve Bucko depends on mass transit to get to work. That could become more challenging after midnight Sunday when a NJ Transit rail strike is threatened by a coalition of 11 unions. The unions and transit officials are meeting in Newark, New Jersey, on Thursday in hopes of averting a work stoppage. While most of the pain will be felt in North Jersey, commuters locally also will be affected, mostly by volume. Bucko, a 25-year old Philly resident, takes a PATCO train – which is run by the Delaware River Port Authority and would not be affected by a strike – from his hometown to Camden. There, he boards NJ Transit’s light rail River Line at the Broadway transit hub to get to his job as a furniture upholstery designer in Delanco, New Jersey. And while the River Line will still operate – its union is not among those threatening to strike – it and PATCO could be stressed as commuters seek alternate routes, NJ Transit spokesman Jim Smith said. “I need to do a better job of paying attention,” said Bucko, who was unaware of the possibility of a strike when interviewed this week. The unions involved with NJ Transit bus operations are not involved in the potential strike, but buses are expected to be crammed full of displaced train riders if the rail unions strike. That's because the NJ Transit rail line connecting Philly’s 30th Street station with Atlantic City would halt. Additional bus service to fill the gap is expected if the rail line does not operate. However, buses will travel from New Jersey only to 8th and Market streets in Philadelphia, not all the way to 30th Street. Smith said buses will run on a stepped-up schedule to try and make up for the lost connection. Also, PATCO will cross-honor NJ Transit passes, but only at the Lindenwold station, a transit hub. More than 4,000 workers have authorized a strike for 12:01 a.m. Sunday. If it happens, gridlock is expected in the metro-New York-New Jersey area. 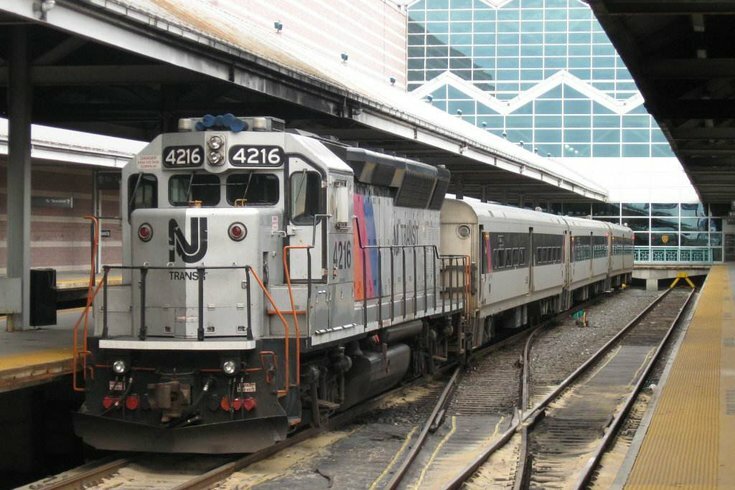 Unions and NJ Transit reported some movement in negotiations earlier this week. NJ Transit last had a strike in 1983. NJ Transit has warned that 105,000 commuters, almost all in North Jersey, could be affected by a strike and added that only about 40 percent of those displaced will be able to find alternate forms of public transportation. Updates on service will be available here.